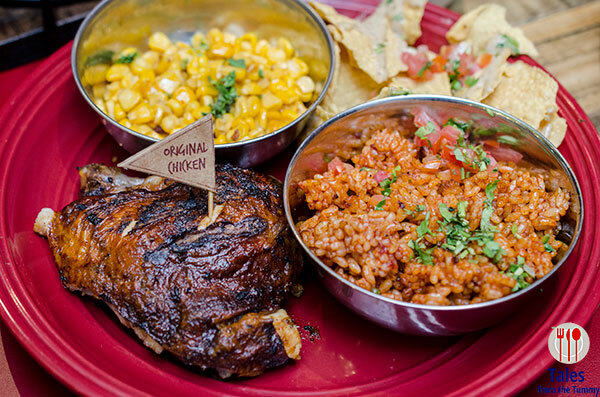 The first time I encountered Gringo was a few years ago when they sent over a box of their Mexican-Latin dishes. We’re not fans of takeout let alone reheating takeout food so our first encounter was not the best. Fast forward to last year when they finally opened a branch in our usual mall, SM Megamall. I told myself that this was the chance to really try the place out. They pride themselves in their chicken and ribs but they’ve also got some seafood dishes too like this plate of Baked Mussels (P220). 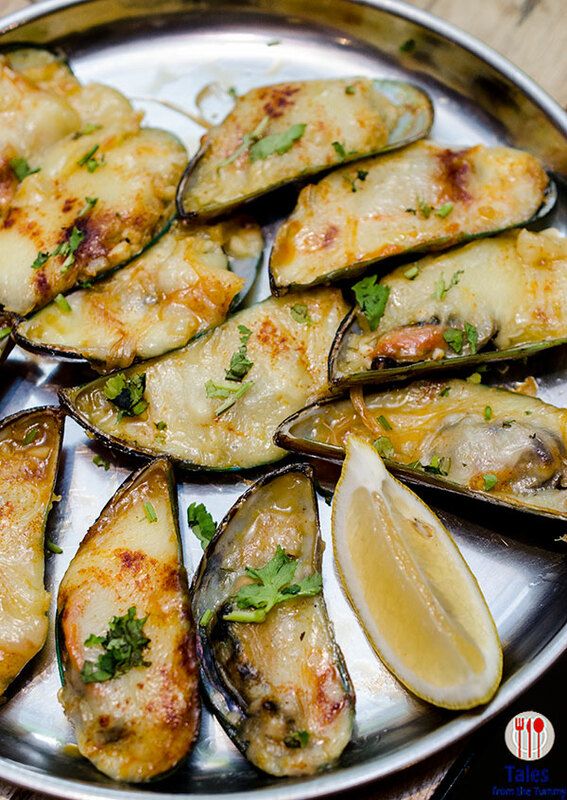 Mussels on the half shell with loads of cheese finished off with a splash of lemon before eating. A generous amount meant to be shared. Nacho Grande (P265). 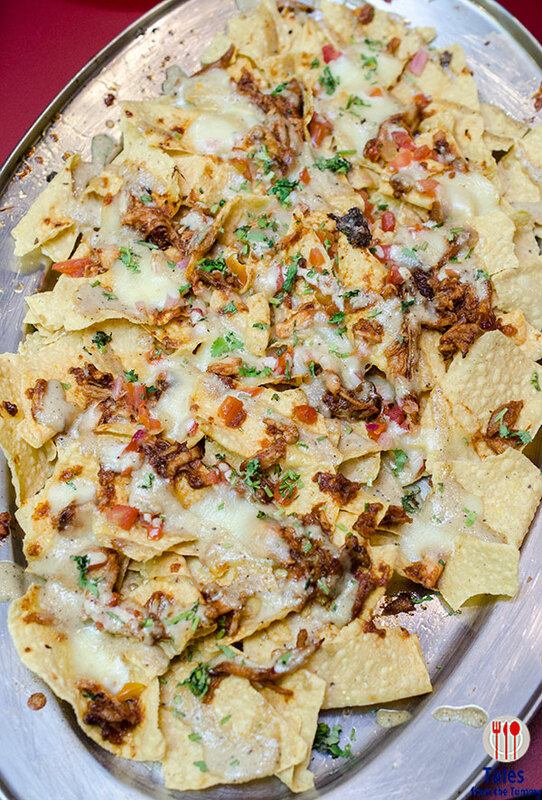 This one giant platter of a crisp nachos topped with shredded chicken, mildly spicy salsa, cilantro, cheese and their special sauce. It’s quite addicting so best to monitor how much you eat before you fill up too much of your tummy space. 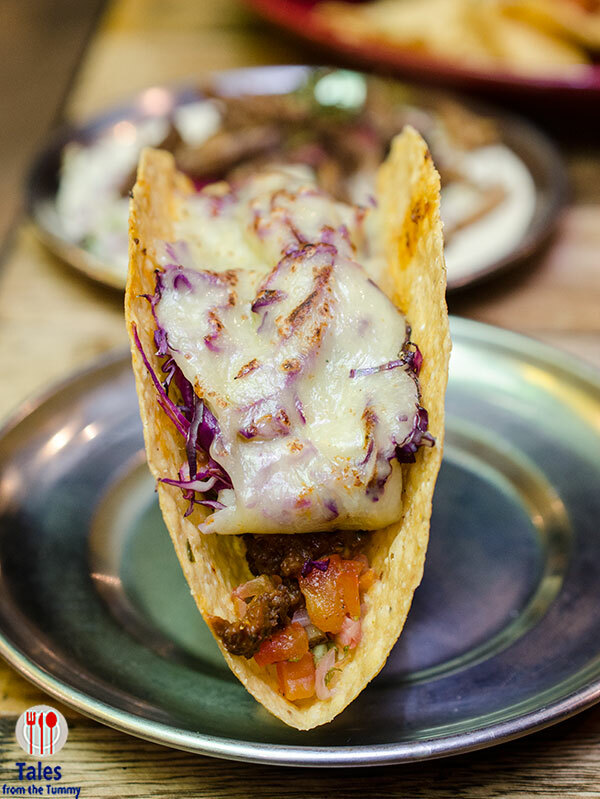 Chili Con Carne Crispy Taco (P88). They have lots of soft taco options but this is the only crispy taco shell options. Growing up, when someone says taco, the crispy shell immediately comes to mind. Meaty and sweet with a generous amount of melted cheese on top. Gringo’s signature roast chicken is available in Original Chicken (P225/quarter + 2 sides, P365/ half + 3 sides, P648/ whole + 3 sides) and Southern Spice Chicken (P235/quarter + 2 sides, P375/ half + 3 sides, P655/ whole + 3 sides). 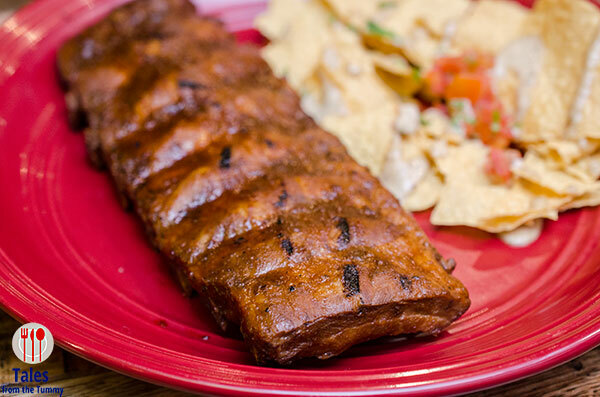 The original is coated in Mexican spices while the southern is coated in South American spices. Both share similar spices but overall the southern chicken is bolder and my preferred variant. After trying the fresh and hot, it’s blasted all of my preconceived notions to smithereens. For the sides you can pick from 10 regular sides and 6 healthy sides. My favorites include the marble potatoes, Mexican rice, okra, buttered corn, and smokey beans. 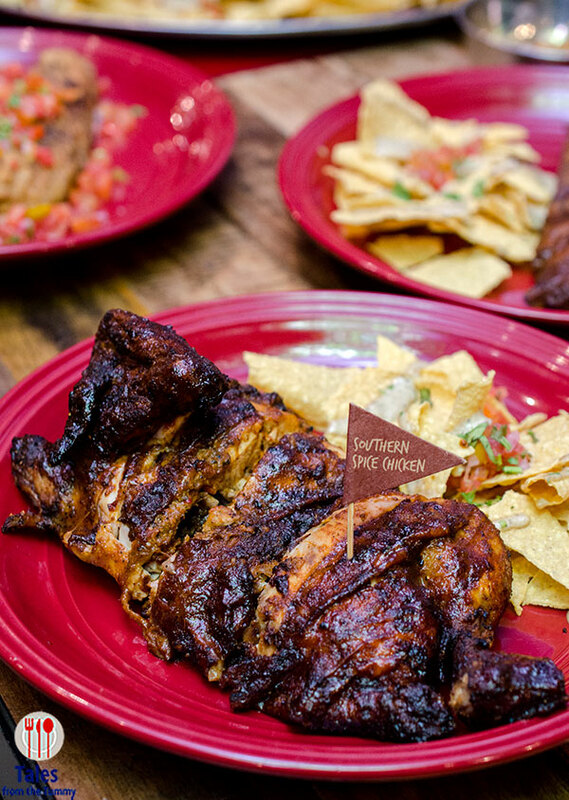 More pork than chicken eater then you might want to try the Gringo Baby Back Ribs (P365/half rack + 2 sides, P745/ whole + 3 sides, P1,099/ muchos + 4 sides). They are pretty good and value for money but don’t expect anything earth shattering good. 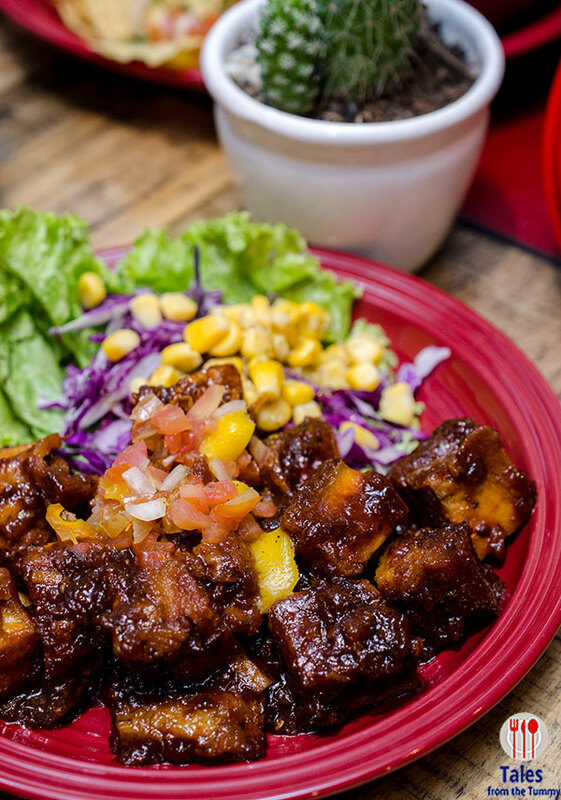 The Crispy Pork Belly with Mango Salsa (P265) is also a good pork dish. Cubes of crunchy pork belly enveloped in a sticky Filipino-Mexican sauce. The mango salsa plays a vital role to temper the aggressive flavors and adds a dose of sweetness. 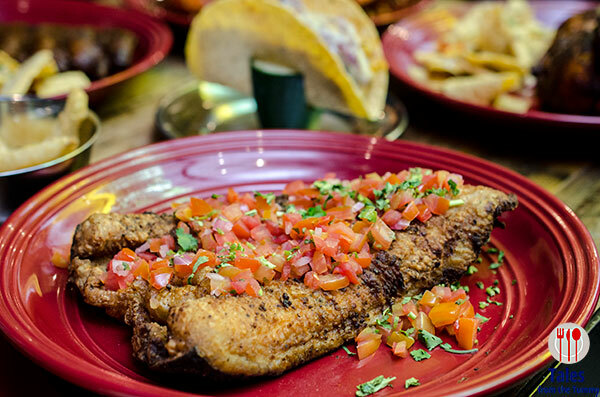 Crispy Catfish Salsa (P365). This is the dish that surprised us. A large piece of catfish filled topped with salsa. 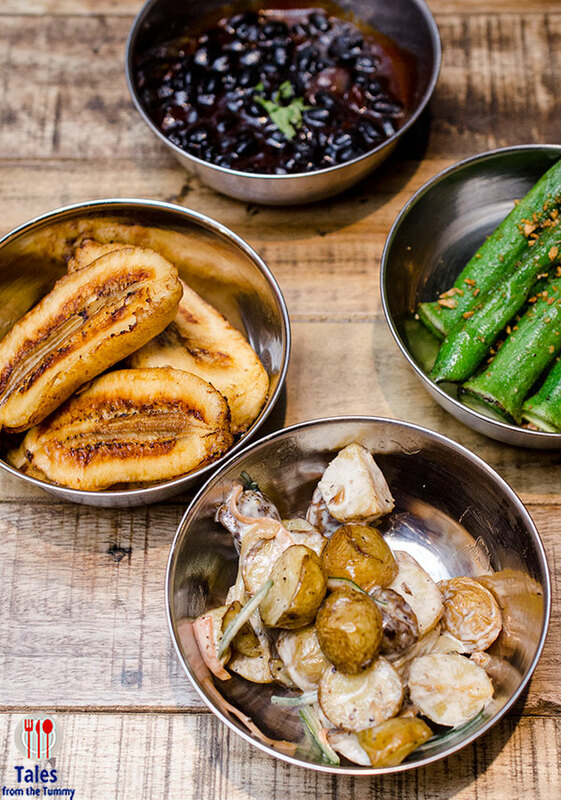 Simple, but the flavors and texture make it an overall enjoyable dish that we came back for. A thing rarely said for a fish dish. 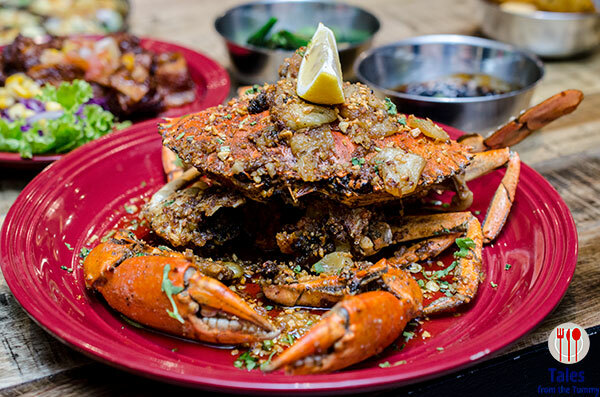 Lemon Garlic Butter Crab (P155/100 grams). This is the most surprising item listed on the menu as it’s not something you would expect in a fast casual Mexican-Latin restaurant. Taste wise, it’s a clear winner starting from the aroma to the finger licking rich sauce. Gringo has lots of food options be it eating with a group of just for two. Prices are reasonable with good servings sides that will not leave you wanting.